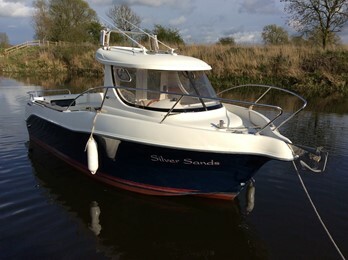 A stylish fishing boat equipped with GPS, fishfinder and VHF which benefits from a brand new Mercury Diesel 115 engine. The polish built boats are marketed by the Mercury/Marina outboard brand and are sold as complete packages to include the outboard motor. The aim was more for the day cruising/weekend market where larger cockpits and cuddy cabins were common. The majority of craft all have self draining cockpits and can be left without having to fit canopies. The designs were quite radical but very modern. 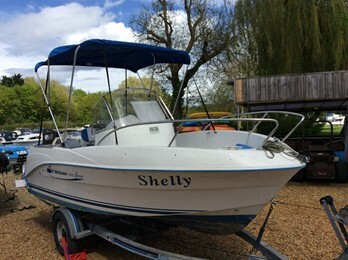 The smaller craft have proved popular for summer enjoyment on the river.